InSight is scheduled to reach the surface of Mars at approximately 3 pm EST November 26, and you can watch the event live. 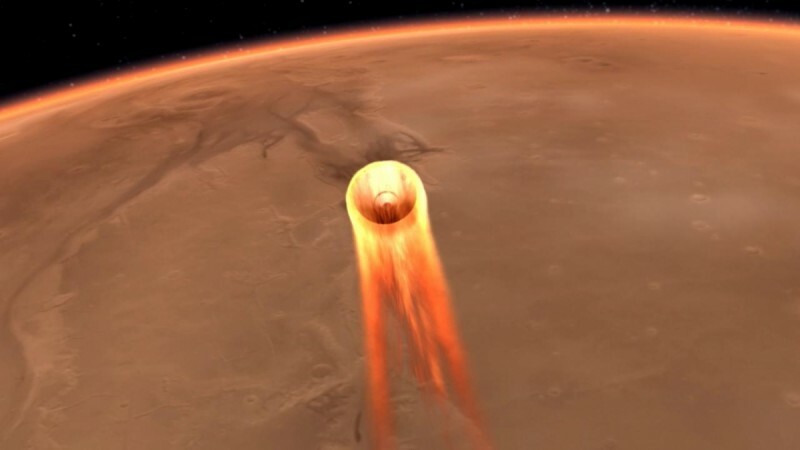 NASA's Mars Interior Exploration using Seismic Investigations, Geodesy and Heat Transport (InSight) spacecraft has reached the vicinity of Mars and is on its way to a soft touchdown on the surface of the Red Planet on November 26. Landing a spacecraft and that too achieving a soft landing for InSight, on a planet that is on average about 12.5 light minutes away, means NASA will have to keep a sharp watch on all the data related to InSight's health and trajectory, says a report by the space agency. Martian weather is another factor that the team needs to monitor constantly. "Landing on Mars is hard. It takes skill, focus and years of preparation," said Thomas Zurbuchen, associate administrator for the Science Mission Directorate at NASA Headquarters. "Keeping in mind our ambitious goal to eventually send humans to the surface of the Moon and then, Mars, I know that our incredible science and engineering team—the only in the world to have successfully landed spacecraft on the Martian surface—will do everything they can to successfully land InSight on the Red Planet." InSight is designed as the first mission to study and learn about the deep interiors of the red planet. It was launched from Earth on May 5, 2018. So far, the journey so far says NASA, has been uneventful and that is a good thing. As for the approach, NASA has put together a short video that explains the step by step of how they plan to land InSight on Mars. InSight is scheduled to reach the surface of Mars approximately 3 p.m. EST November 26, and you can watch the event live on NASA Television, the NASA website as well as their official social media platforms. InSight and MarCO flight controllers will monitor the spacecraft's entry, descent and landing (EDL) from NASA's Jet Propulsion Laboratory (JPL) in Pasadena, California.